Politics is not something I’m largely interested in, but it is something I feel responsible to take part in. Watching the 2008 presidential race certainly held my attention in a way no other campaign has. It’s clear that the Obama campaign was well-organized, highly strategic, and utilized technology in new and innovative ways. Now that the world has witnessed the success of the Obama ’08 campaign, it’s no doubt that the run for the White House in 2010 will look to emulate various aspects of the historical election. But winning the presidency in 2012 is not just about using technology and social media. It’s about using those tools in a strategic way that engages and motivates voters. As my Social Media professor Garrett Graff states in his book The First Campaign, “The reach and specificity of the Web have restored ‘personal’ or ‘individual’ quality to the presidential campaign.” (p. 9) Why is this important? Well, it means that presidential candidates — now more than ever — have the ability to connect with voters in a targeted and personal way. And I believe the candidate who does this best in 2012 is the person who will also win the presidency. Edelman’s piece titled The Social Pulpit and Graff’s article in Infonomics review how the Obama campaign used social media to equip supporters with the tools and information needed to spread the campaign message, raise money, and rock the vote. The levels of engagement were staggering. But what I find particularly interesting are the ways in which these tools encouraged a greater level of decision-making power among supporters. As The Social Pulpit notes, people were given “the opportunity to enthusiastically and authentically demonstrate their support for [the administration’s] policies.” Or in some cases, their disapproval as well. The Obama administration has continued to engage the base of 13 million supporters it built during the presidential campaign and has solicited the network’s feedback on issues like health care and economic recovery. The most recent video from Organizing for America announced the strategy for 2010 mid-cycle elections — a strategy which incorporated supporter ideas. I think the consistent mobilization of this network long after the 2008 election is really impressive and revolutionary (so much so, I tend to save all of my Organizing for America emails as a mini-case study library). And I think this kind of engagement is exactly the type that positions Obama well for re-election. Being in my masters program at Georgetown has taught me a lot of things. Most of the lessons I’ve learned have taken place inside the classroom. But there are a few that have been learned through interactions with my classmates outside of regularly scheduled class time. This semester, Engin and I have been in the same Social Media class, which has allowed us to interact more and become friends. So what have I learned from Engin? Well, maybe it’s not so much that he taught me a lesson as it is that he prompted a realization. Interacting with Engin made me realize just how limited my international perspective really is. In a recent blog post, Engin wrote about the international student experience and the cultural differences an international student should learn when coming to study in the U.S. His observations about American culture were pretty humorous — mainly because they were so accurate. His blog and my interactions with him and other international students in the program make me realize how little I know about foreign cultures. (With the exception of Jamaica, which I wrote about a few weeks ago). It’s so easy to stay within our familiar boxes and circles of friends. But realizing how limited my perspective is, I’m motivated to make a more concerted effort to hang out with, and learn from, international students. Just within our program, I can learn more about Brazil, Germany, Turkey, Costa Rica, Colombia, and Kazakhstan (the real Kazakhstan, not the Borat version).Why wouldn’t I take advantage of that? I’m excited to see what I’ll learn, and I’m confident that a greater international perspective will make me a greater individual. Reading Tracey’s recent blog post about her love affair with chocolate got me thinking about the one food item that I can’t imagine living without — cereal! Yes, I know it might be a bit boring to some of you, but I could literally eat a bowl of cereal for every meal of the day. 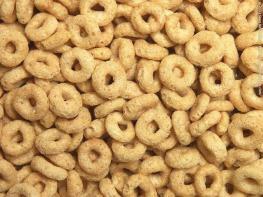 Cereal has been something I’ve loved since the beginning of time — or at least since I was old enough to chew. It began with Cheerios spread out on the tray of my high chair, which I’d pick up one at a time, using just my thumb and index finger (pinkies extended, of course). And it has evolved to a relationship where I never have less than three varieties in my pantry. And loving cereal can’t be that crazy of a trend. Otherwise, why would there be multiple location of Cereality — a bar where you can mix as many cereals as you’d like? What I wouldn’t give to have one of these in my neck of the woods. The closest one used to be in Philly, but it closed down. Yelp users in Philly were a bit critical of how expensive the place was, and seeing as how I’m from the Philadelphia area (that’s the “Pennsyl” in “Pennsyljersington”), I guess I have to give some merit to their opinions. Perhaps this was one example where the niche marketing that Chris Anderson refers to in his book The Long Tail didn’t work out so well. But maybe I won’t completely miss out. A friend called me a few weeks ago to let me know about this breaking news: a new spot called The Cereal Bowl has opened Cleveland Park. Guess who’s already “likes” them on Facebook? I’m thinking my first combo will be Cinnamon Toast Crunch, Special K, and Cap’n Crunch. I really found this week’s blog assignment to be fascinating. In so many ways, war is this distant thing that exists not as something I don’t want to think about, but more so as something beyond my imagination. Reading through the accounts of different soldiers only really made me want to read more. I was moved by how dedicated many of them are, even while they don’t fully agree with the war itself. I was equally disgusted when learning about soldiers who abused their power and maliciously targeted innocents. I was particularly struck by Andy Olmsted’s blog. Having myself witnessed death in a very real way, I was struck by how someone can take on a profession that they know bears such great risks to their life. And the thought of dealing with that as a person in their early-20’s or even late-teens is even harder to comprehend. I think one of the reasons why I found this topic to be so interesting is the fact that in the past year, I’ve developed close relationships with a number of people who were formally Marines or served in other branches of the military. I’ve always been intrigued about their experiences and reflect on how those experiences affect their personalities, passions, and attitudes. As I watched different videos online, I pictured these friends in the different scenes. I pictured them behind M-16s. I pictured them passing time in the desert of Iraq or in camp. Talking to these friends led me to not only look at social media about the war, but to also look at social media that reflects military culture. My friends introduced me to a video from Marine boot camp and a Facebook page set up for Marines to reminisce about their first year in the service. The page has more than 13,000 fans. (Disclaimer: the Facebook page tends not to reflect what anyone would consider P.C. commentary. Just another element of Marine culture, I guess). I found the various social media sites online to be pretty powerful and effective in painting a picture of war. The pictures weren’t always pretty, but ultimately, I think that talking about war online is a good thing. It gives those of us who are at home a better appreciation for the dynamics of war, the lack of an ever-present black and white, and the courage of our soldiers. One of the reasons why Jarronn was so great at his job was that he had a gift for connecting with people. For the offices where there was a doctor that seemed less than eager to meet with him, he’d charm the front office staff — memorizing their names. Things about their families. Or their favorite things to do on weekends. Since he died, I’ve found business cards and slips of paper with his notes about someone he met, so he could remember the details later. It wasn’t that he wasn’t genuine in his interest in the lives of people he met. But he was intentional. And he knew how much it would mean to people when he remembered details about them. In the weeks after he died, I received lots of thoughtful messages, cards, and emails from his co-workers. One of them noted: “Jarronn is such a positive & humorous force; all lives are changed as a result of him. I have never seen a man so sure and excited about his marriage and his wife and his God and his family. You gotta know how much of an impact he made on our customers, his co-workers, I have barely sold a drug since Jarronn left us.” I even got a card from one of the doctors offices he called on — something that I felt was a true testament to how much of an impression he made on people. One of Jarronn’s favorite doctors was Dr. Jacobs. As I understand things, when Jarronn first started his sales job and calling on Dr. Jacob’s office, all sales reps were confined to standing in a corner and waiting, if they were lucky. The unlucky ones just couldn’t come in at all. Fast forward three years, and Jarronn took me to Dr. Jacobs’ office where the staff couldn’t have greeted us with a warmer welcome, and Dr. Jacobs took time out of his packed patient schedule to visit with us. That day, he blessed our future marriage with a Hebrew prayer, shook Jarronn’s hand heartily, and gave him an approving and supportive pat on the shoulder. It meant a lot to both of us. This week, as I was getting ready for work one morning, I was searching through the nightstand next to the bed, looking for something. It’s full of things collected by Jarronn that I’ve yet to sort through, but it often turns up useful items. A tube of chap stick, a book of matches, or a needed document. 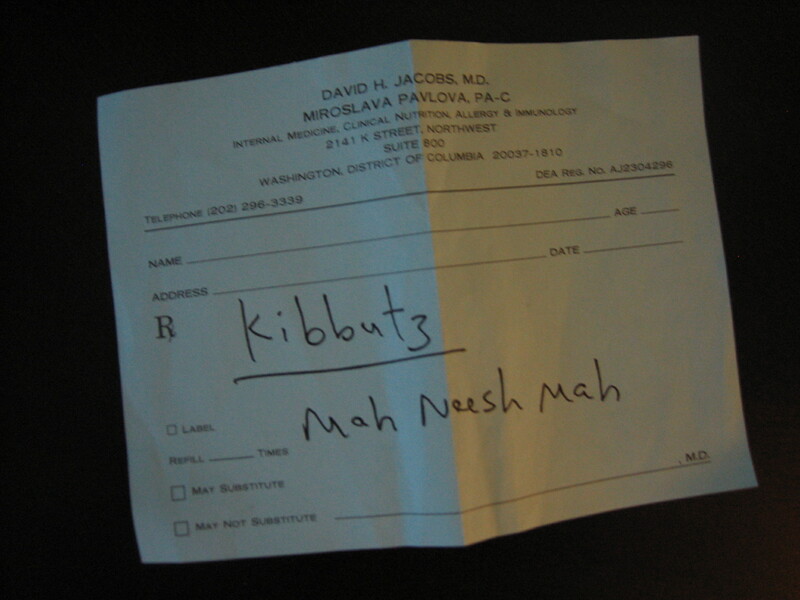 On this particular day, I found a tiny blue slip of paper — a prescription sheet from Dr. Jacob’s office. On the tiny slip were two words, written in a language I couldn’t understand. But I immediately knew what I was looking at. I immediately imagined Jarronn talking to Dr. Jacobs. Asking him to teach him some new terms in Hebrew. Writing it down so he’d remember it for their next conversation or the one he’d have with the next Jewish person he met who spoke Hebrew. And so I immediately went to my computer, opened up Google, and searched for the words on the tiny slip of paper in my hand. I searched for meaning. I searched for the knowledge Jarronn had. I searched for connection. What I found was that “Mah neesh mah” was the phonetic spelling of the word “Mahnishmah.” Jarronn had written it in a way that he’d remember the pronunciation. And the meaning of “mahnishmah”? WEEKLY #9: Welcome to Jamrock! “Pick a country that begins with the same letter as your name.” In all my years of hating the fact that I was one of nine other Jessicas in my grade, today was a day that I couldn’t have been happier to be a Jessica. It meant I had license to explore Jamaica — the country from which my mother’s side of the family hails. Having spent time visiting Jamaica every summer as I grew up, I know a lot about the country and the culture. You can even check out photos from my most recent trip to the island in January 2010 in my Flickr feed. But even knowing all that I do, it was definitely interesting to explore the country’s blogosphere. Visiting Global Voices allowed me to learn all about current affairs in the country. The range of writings was pretty vast and interesting. I was able to clearly see that many on the island are still concerned about neighboring island Haiti’s post-earthquake recovery. This is likely due to Jamaica’s own long history with natural disasters. There are a good number of blogs that focus on the accomplishments of Jamaicans in the arts. There was disturbing news about the country’s 463 murders in 104 days. And I got to see a serious look at the island’s current water shortage crisis, as well as a more trivial look at how that water shortage might affect the party scene (which plays a big part in Jamaican culture). This morning I attended a funeral. 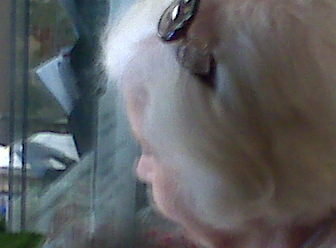 The grandmother of my Godsisters — Mrs. Kirk, as I called her — passed away. In some ways, funerals have taken on a whole new meaning for me. Now that I’ve had to plan out the details. Give the remarks. Sit in the front row. As I sat in my seat today’s, I was struck by the fact that whether a person has lived a full life or has been sick for years or dies suddenly, a loss is a loss. Even for those of us who fully believe that there’s life beyond physical death. While many people know me as the one who can be lively and tell stories and laugh loudly, there’s a part of me that wishes I was like Mrs. Kirk. That I had a quiet confidence. An unspoken steadiness. Sophisticated beauty. A tender voice known for its wisdom. Mrs. Kirk and her husband, Dr. Kirk, were married for more than 63 years. 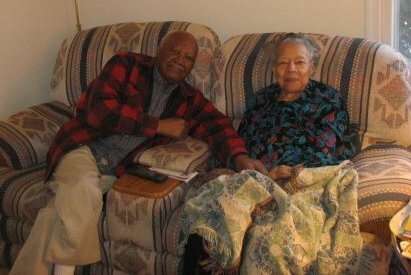 (in fact, he made sure to mention during his remarks that they were married for “63 and a half years.”) When I looked at them together, I saw the kind of marriage I hoped to have for myself. One of commitment. And devotion. And love. A marriage that had built a beautiful family with lawyers and engineers and doctors. A marriage that had built traditions and instilled values. A marriage that made the world a better place. A marriage that truly represented the intertwining of two lives. She and her husband set the example. During her eulogy, her pastor, dean snyder, turned to Dr. Kirk and spoke of how intertwined their lives had been. How she feared the thought of being without him. That the renewing of their vows last summer, on their 63rd wedding anniversary, had been such a special way to tell her that she’d never go without him. That at a time when she felt that her illness was such a burden, her husband reminded her of his undying love. And the pastor spoke of how while it may be difficult, Dr. Kirk is giving a gift to Mrs. Kirk by being the one to bear the loneliness, as opposed to the other way around. Wow. Perhaps I can look at my own situation like this. Perhaps my faith was stronger and able to bear this level of loss in a way that Jarronn could not have. Would not have. Perhaps my continuing on is me giving him a gift. The gift of dying and resting at his happiest — successful in faith. In love. In friendship. In health. In career. In living life passionately.